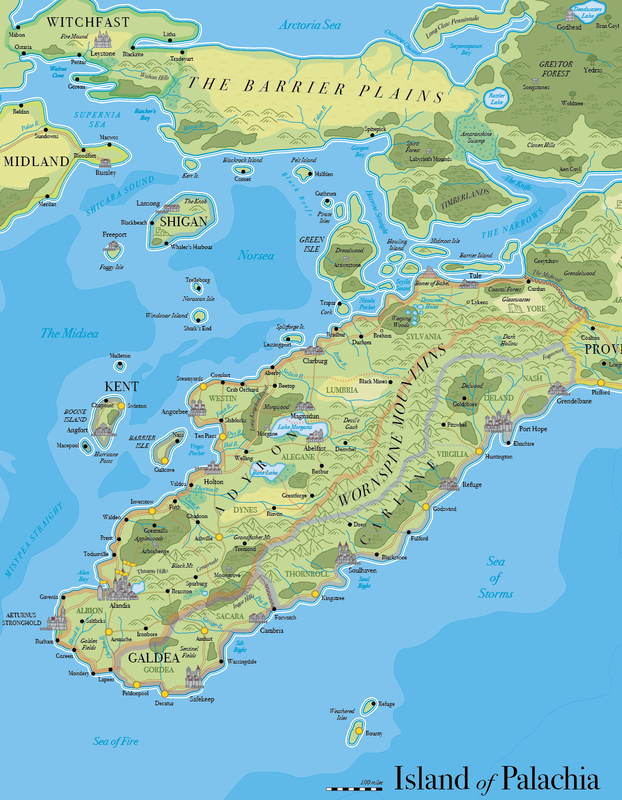 Ever since I was a kid and got the book, The Map that Grew (at least I think that's what it was called), I've loved maps. Maybe even before that. I've made some of my own, including the ridiculously ambitious Map of Humanity. It's a reordering of the human experience (actual and imagined) according to a moral compass. The execution has always fallen short of the vision, but that's inevitable with something so ambitious. When I was in grade six, a friend of mine and I made a map of Middle Earth using pencil crayons. It was massive! Well. It fit on a table top, but back then, it felt pretty big. And I was much smaller, too, so there's that. 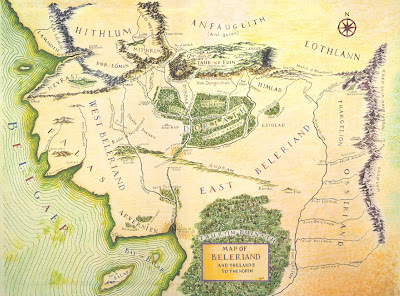 Tolkien's maps are magnificent and really add to the reading experience. They are so fully realized, it feels like his world really exists. That you could visit it. 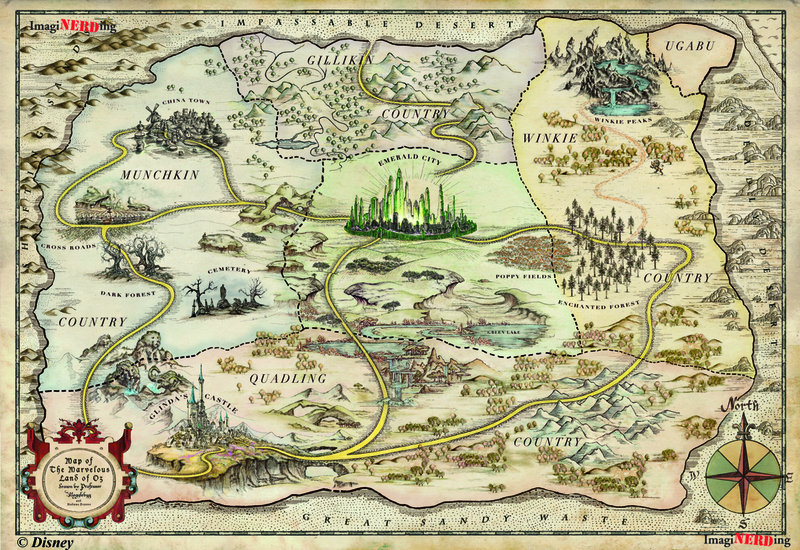 And you can follow the characters on the map, along their journey, every step of the way. It helps orient the reader. Same goes for G.R.R. Martin, and C.S. Lewis, and even Frank Baum. I'd say this is especially true for Martin, as he has a massive cast of characters, and having a map would be enormously helpful in determining where everyone is. 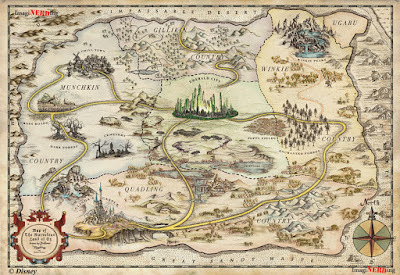 Have you seen the map for Oz? It's great, but nowhere near as famous as the ones for Tolkien (and now Martin). The first book doesn't reach much of it; it's only on return visits that you begin to see the rest of the world. There's even a Google Maps version of Middle Earth. At least mocked up to look like it. If only Frodo had a cell phone with GPS for his journey, it may have saved him time. 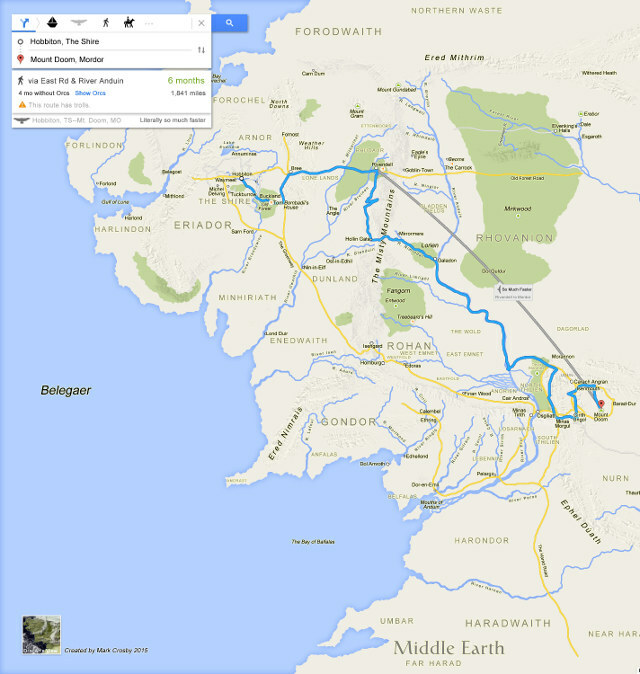 It'd have to track orcs rather than traffic though, recommending the route with the fewest. 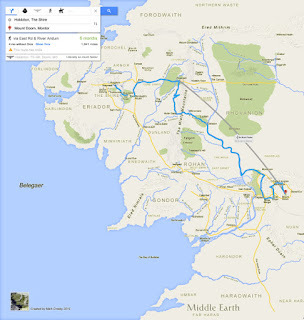 Middle Earth Google Maps. Frodo would have loved having that. 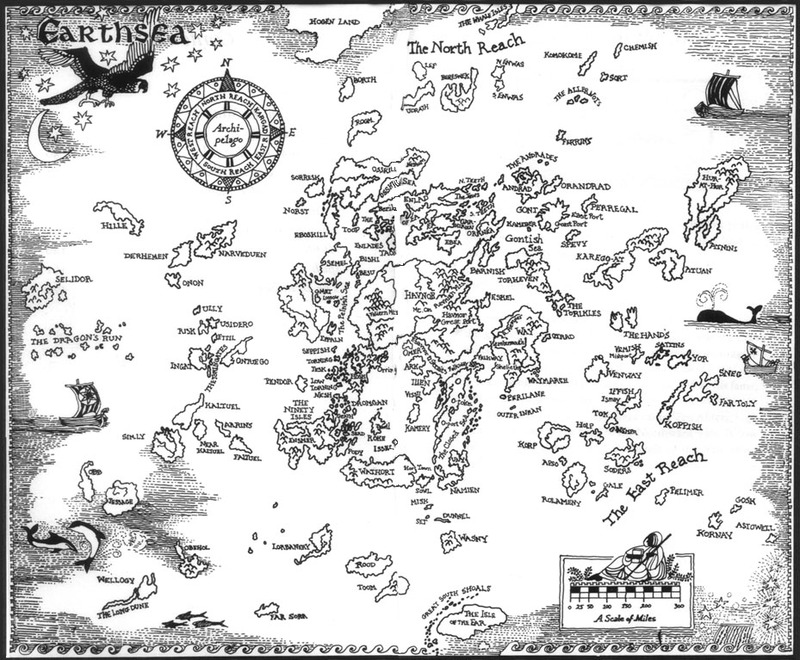 The Wizard of Earthsea has a great map as well. I loved that book; it's probably my favourite Ursula K. Le Guin novel. Long before Harry Potter, there was Ged, the aspiring wizard. It gets into Taoist ideas of balance of the universe, which the wizards are supposed to maintain. I don't remember a lot of the details anymore, but the world she imagined was very immersive. And unsettling! 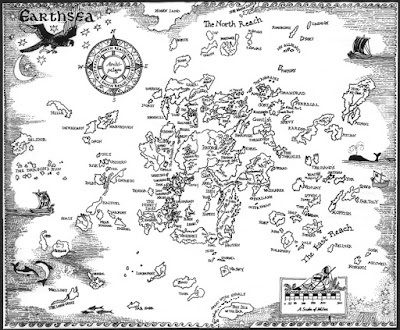 So when I wrote a fantasy novel, I just had to do a map for the world it was set in. And so... voila! I've been working on the sequel to Theo Paxstone and the Dragon of Adyron, and part of that has included fleshing out the world more. I've been playing G.R.R. Martin and J.R.R. Tolkien and having a blast with an imaginary world. 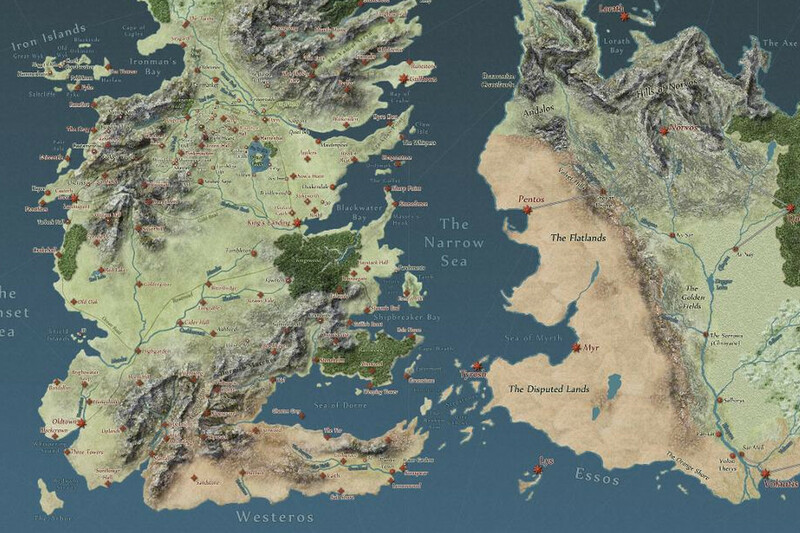 The map style is more contemporary looking, that was a deliberate choice. I'm not sure I can entirely justify it, but that's how I wanted to do it. Some things come from the gut. I think most of the locations from the first book are on there, even if some of them are too small to really be noted at such a large scale. And the map is still a work in progress. I'll likely shift things around a bit as the story evolves. I tried to make sure that there was some logic to the placement of rivers and mountains and forests. Swamps obviously sit in lowlands, near rivers, or between them, or extend off of lakes. Mountains devolve into hills. The rain primarily comes from the south, so that side of the Wornspine Mountains would have wetter weather. On the other hand, deforestation would be extensive for building ships and homes, so there's that. You can get really in depth with something like this, and you have to decide where you want to draw the line.